This Saturday May 1st is FREE COMIC BOOK DAY! This means anyone who comes in the store that day is entitled to a copy of YOW! : A John Stanley Library Grab-Bag, the free comic book we exclusively put out for this very day! This free comic book features 6 stories written and (mostly) drawn by the brilliant kid's comics creator John Stanley. This means comedy, good times and a piece of Nancy, Tubby, Judy Junior, Melvin Monster and Choo-Choo Charlie for free and for everyone (as long as supplies last). Also supplied that day will be Fantagraphics Books’ contribution to Free Comic Book Day: Jim Woodring's Weathercraft and Other Unusual Tales. This one includes an excerpt from Weathercraft, Jim’s forthcoming graphic novel, a handful of Frank stories, and other delightful and puzzling features. launch W/ Ian Orti: Tonight!! A small flat sits unoccupied above Henry's café. When a woman comes to rent the room, Henry's world begins to shift. As their friendship intensifies the city itself begins to dismantle, Henry is left wondering if he is a victim of his own senility or if the transformations slowly closing in on him have something to do with the new tenant. L is the story of a nameless town where two lives intertwinea story of annihilation. Ian Orti's prose are subtle, evoking the best magic realism. His style is reminiscent of Anosh Irani. He is the author of The Olive and the Dawn (Snare Books). He is a columnist for Matrix Magazine and his work has appeared Filling Station, The Toronto Quarterly and VICE Magazine. He has six fingers. Hosted by Carmine Starnino, author of This Way Out and editor of Signal Editions. Featuring readings by Michael Harris, Johanna Skibsrud, Paul Tyler, and Susan Briscoe. On April 29th at 7 pm Carmine Starnino will host the third annual Spring Poetry Tra-la! Held for the first time in Montreal, Drawn & Quarterly Bookstore is the place to be to bid farewell to Poetry Month. The event this year will bring together poets from Signal Editions and Gaspereau Press: Paul Tyler (A Short History of Forgetting), Michael Harris (Circus), Susan Briscoe (The Crow's Vow) and Johanna Skibsrud (I Do Not Think That I Could Love a Human Being). The bad news is that it's snowing in Montreal. 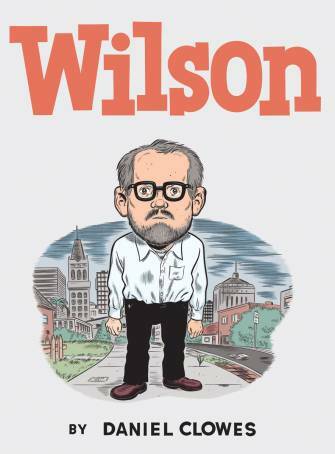 The good news is that WILSON is finally instore!! Check out what people have to say for Wilson. Or even better: come get the book and enjoy it yourself! A Place in Mind: The Search for Authenticity is the result of Avi Friedman's worldwide quest for successful environments where people congregate and feel comfortable. Whether he writes of the conviviality of a teahouse in Istanbul; the public art of Nunavut's capital, Iqaluit; the serenity of Assisi; or the architectural harmony of neighbourhoods in London and Amsterdam, Avi Friedman conveys his excitement at discovering people-friendly places—antidotes to social isolation. In each instance, the question is asked: why do these places work? Dr. Avi Friedman is the co-founder of the Affordable Homes Program at the McGill School of Architecture, where he is a Professor. The recipient of several research and design awards, Avi Friedman has published extensively in both academic and trade publications. Wallpaper Magazine included Avi Friedman in its list of ten people "most likely to change the way we live." The Believer has come out with a fun new book this month, entitled You're a Horrible Person, But I Like You: The Believer Book of Advice. Comedians, writers, and actors offer their potent advice to hopeless individuals. The long list of contributors includes (but is not limited to): Judd Apatow, Michael Cera, David Cross, Janeane Garofalo, Bob Odenkirk, John Oliver, Patton Oswalt, Amy Sedaris, Sarah Silverman, Sarah Vowell, and Rainn Wilson. Sometimes I forget to start with the little fork and go straight to the big fork. Is this a problem? - Name withheld. Rockford, IL. This is a very good question and I hear it all the time. The answer is very simple. If you're genuinely confused about which fork to use, as you clearly are, then you should take the little fork and stab yourself in the left eye. Then take the larger fork and stab yourself in the right eye. At this point you will be in a phenomenal amount of agony and you will be wondering if you will ever see another sunset again. Only then will you truly be free from the tyranny of fork-size equivocation. Hip & Hop won't never stop! 3) turtles and bunnies can be friends. 4) jay-zebra is surprisingly bad at rapping. I've been following Christoph Niemann's New York Times blog, Abstract City, for a while now, so I was pumped when I found out he decided to come out with a little book based on one of his posts, appropriately called I (heart) N.Y.
As a New York illustrator, Neimann decided to pay homage to his dear city through scenarios created with the ever adaptable LEGO. The images are quite simple, but incredibly smart and funny. I found myself giggling out loud through the aisles of Drawn & Quarterly as I flipped through the book. Do you want to embarrass yourself giggling awkwardly in a public place? Then pick up this book!